I have a chance to teach a cooking class at a local cooking school in June! Now, I am preparing for that class. One of the dishes I plan on teaching in the class is, GOMA-AE. 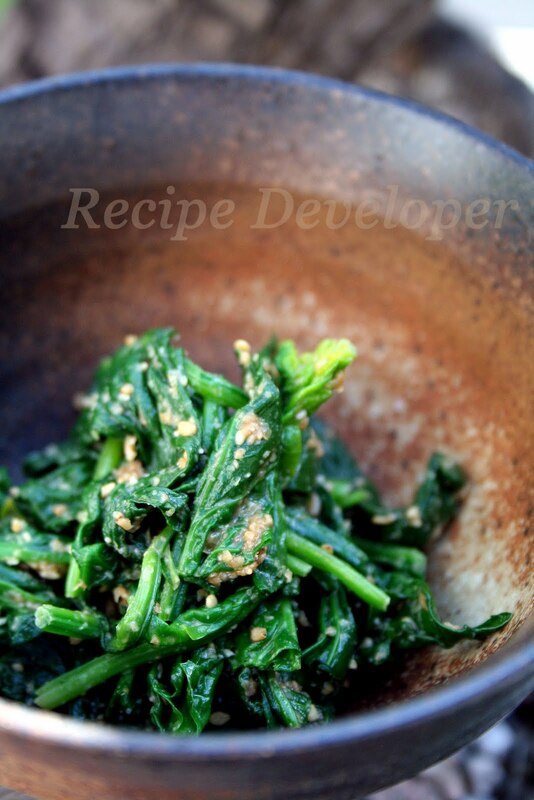 This is a boiled vegetable dish usually made with spinach and tossed with a pasty Sesame dressing. It's a pretty popular Japanese dish in the U.S. now that I think about it. I plan on adding my own touch to make it a more tastier and healthier dish and give some useful tips on preparing this type of dish. Nowadays, you can check out various types of recipes, pictures, videos. Everything you need to know about cooking on the Internet. But I still believe that the most important part of cooking is to see, touch, smell, feel, and to taste the food while cooking the dish. I used spinach and carrots this time, but you can try other vegetable like; green beans, snack peas, snow peas, cabbage, broccoli, cauliflower...any type of vegetable is healthy. 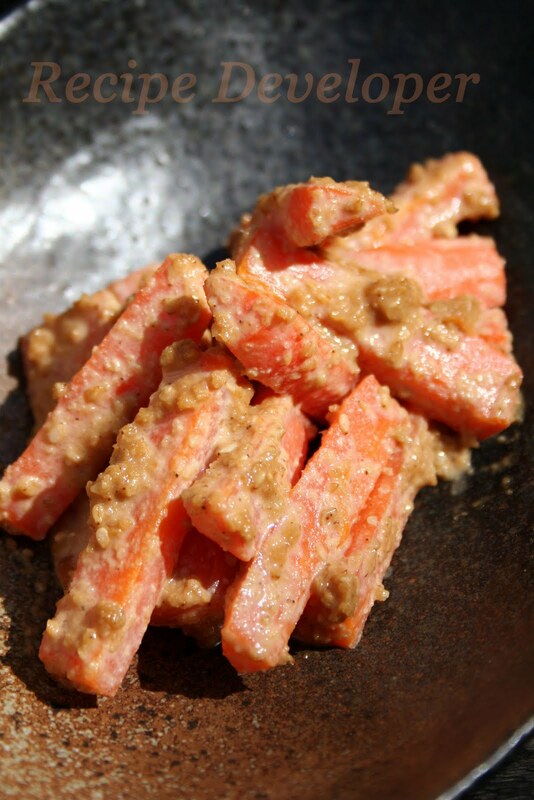 Gives a great new way and flavor to some of you and your loved ones favorite vegetables. Goma-ae is a great choice to teach. I love it, though I've only ever had it on leafy veggies so I'll have to try it with carrots and broccoli. Do you ever use black sesame? I hope you post your recipe! Thank you Nigel,you are the first person ever posted a comment to my blog! I was so happy when I found your comment. I use both white and black sesame seed, but white one has more milder taste than black one. I will post my recipe soon, and I hope you can try with black sesame. Black sesame has a more distinct flavor and you can enjoy the differences.